Juan Garriga - race | Yamaha Motor Co., Ltd.
Born May 1963. 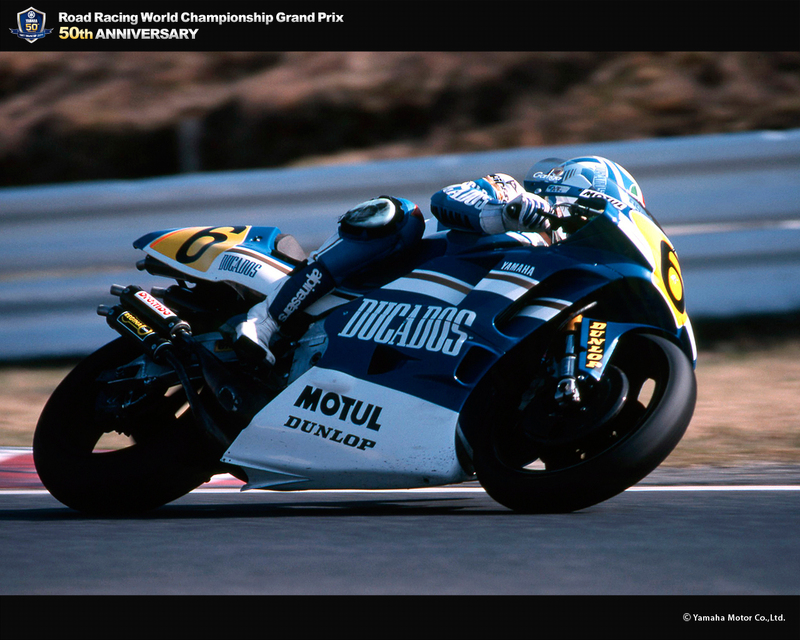 Started riding motorcycles at age 16, and from 1983 competed in road races in Spain. Rode in his first World GP in 1984 on a TZ250. 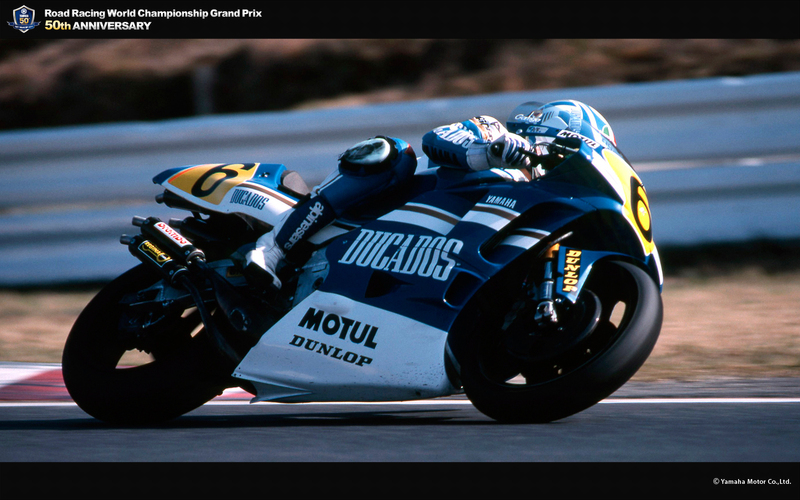 From 1987 to 1992, raced with the Ducados-Yamaha Team of his native Spain. In 1988, achieved a personal best ranking of 2nd in the 250cc class, and in 1990 stepped up the 500cc class with the same team. 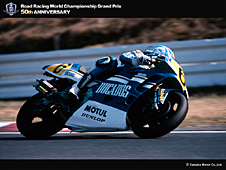 In 1991 and 1992, was the regular choice for the YZR500. His best performance on the YZR500 was a 3rd in the 1992 British GP. For three years failed to achieve a win, but managed to achieve good results competing against Wayne Rainey, Eddie Lawson, Kevin Schwantz and Mick Doohan. 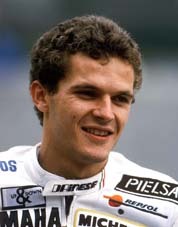 In 1993, finished his GP career while racing with Cagiva.